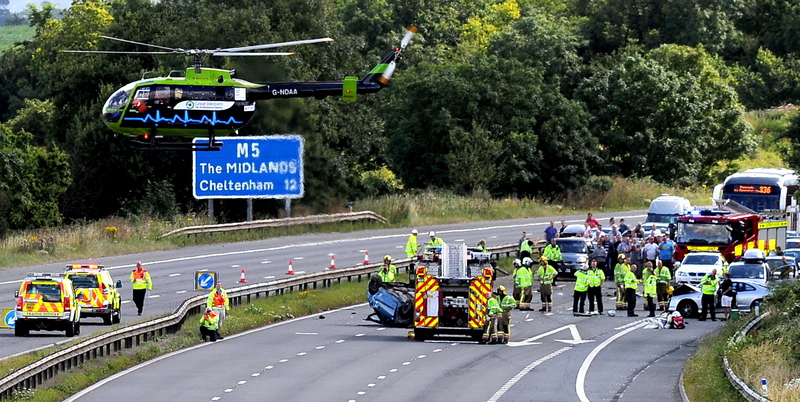 The Air Ambulance leaves the scene of the accident on the M5 at Junction 12, Quedgeley. I have photographed many road traffic accidents (RTA), but have been fortunate to get the air ambulance twice which always makes the picture more dramatic. When I get a call to attend an RTA, I have to plan so not to get caught up in all the traffic congestion. Knowledge of country lanes and motorway bridges helps, especially when there is a major incident on the motorway.